ACCO, Bus, Stralis & Powerstar Vehicles used off highway for 10% or more of total usage by kilometres will be covered by a 12 month duration warranty only. Note: Prices, features and specifications may be subject to changes without prior notice. This is not a stock bus. Please call or email us for a detailed quote. 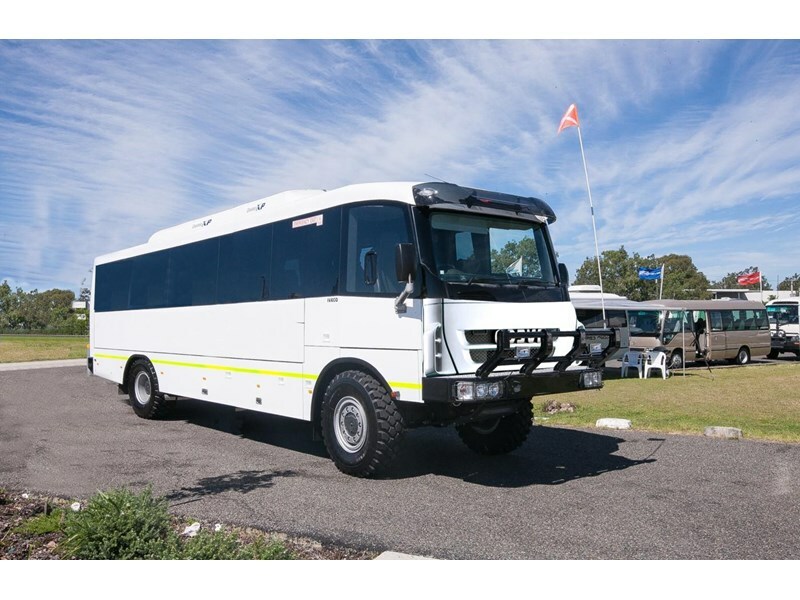 The Iveco Trakker Buses are one of the most impressive tour vehicles available in Australia. They are genuine competitors with the Mercedes Unimog, Axor or MAN truck-bus in terms of performance, but much more affordable. The Trakkers give you military grade performance and durability without the military price tag. If your business involves serious off-road travel for reasonable group sizes, then you cannot go past these vehicles. 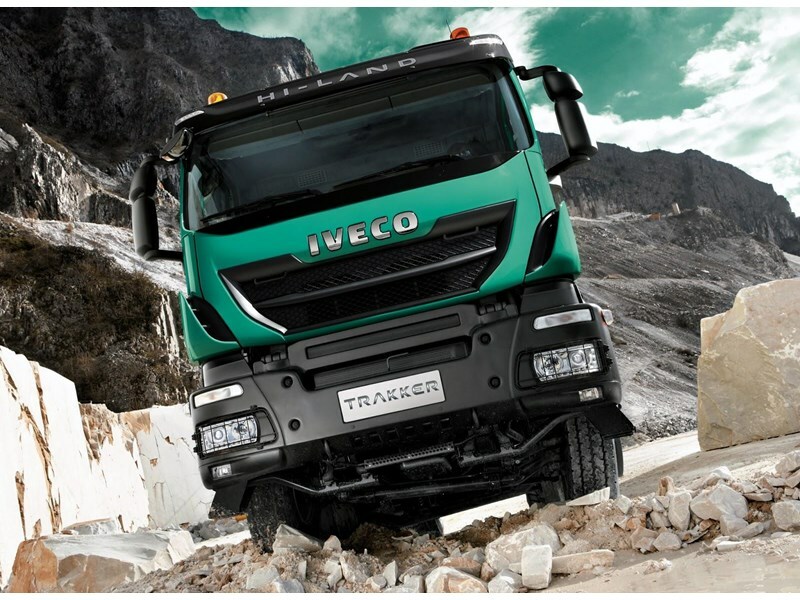 Bus 4x4, in conjunction with Iveco are excited to announce the largest vehicle, the Trakker 6. This 6WD coach can seat up to 57 passengers with storage bins under the bus as well as in the cabin. This bus also offers the largest platform to customise floor plan configurations for seating and storage. The advantages: - 12.9L Euro 5 engine generating a huge 450HP power - Factory high and low range 4x4 with diff lockers as standard - Full walk through coachwork connecting driver to passengers - Great cost per seat (under $10,000) for tour operators - Long service intervals and good Iveco dealer network - Can be configured with toilets and loads of cargo space Available as LHS or RHS Drive. Euro III, Euro IV, Euro V, Euro VI.